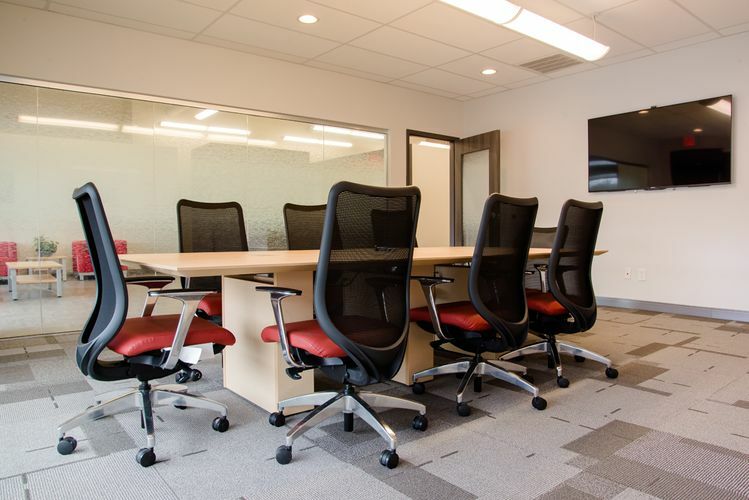 For the Dalton, Ga., location of this international company, we used glass, low-height walls, dark-wood tones, and a neutral color palette to create a dramatic corporate space within an existing metal building. 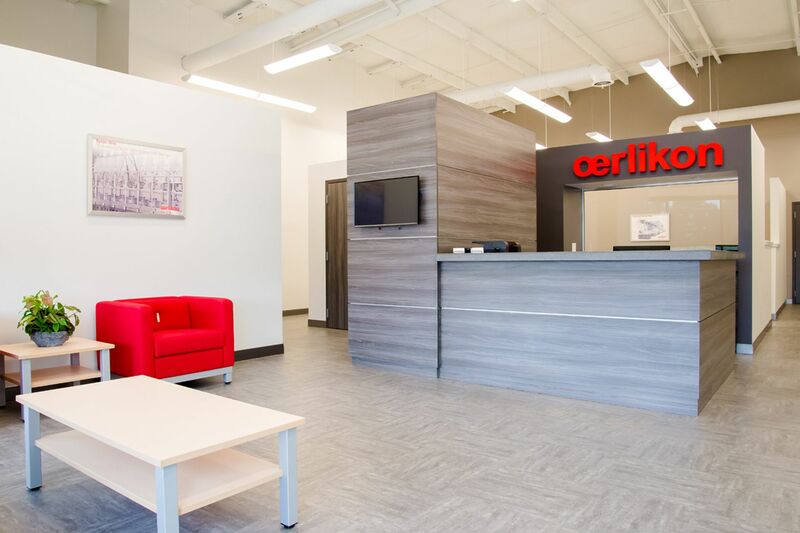 Pops of the company's corporate color, Oerlikon red, create a dramatic space with European flair. The space is house in a section of a metal building housing state-of-the-art machining equipment and workshop. 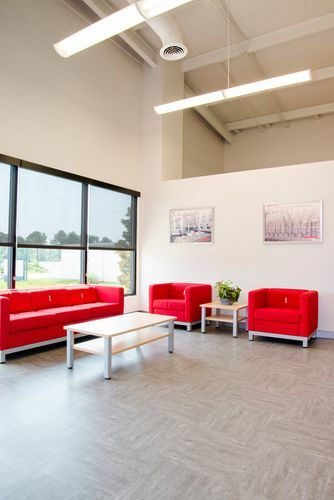 The exposed duct work and roof structure of the building, as well as most walls, are painted a soft white that allows dark wood tones on the casework and doors to make a strong statement. 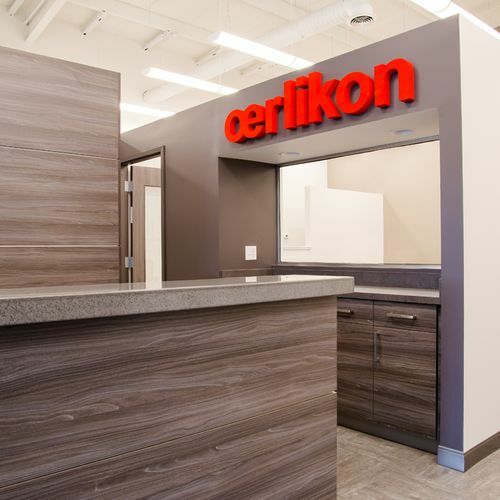 The simple-finish scheme allows the Oerlikon red on the signage to catch your eye. The clean lines of the furniture play into the European theme.